By some margin the most successful British medium-range airliner ever produced, the world-beating Viscount was a sublime combination of Vickers’ state-of-the-art postwar design and Rolls-Royce’s cutting-edge power-plant technology, both companies being at the very peak of their powers during the type’s genesis and evolution. Tracing its origins back to the wartime Brabazon Committee, the Viscount was one of several designs from various British aircraft manufacturers produced to fulfill the committee’s specifications for a fast, economical short- to medium-range airliner to satisfy the demands of the burgeoning postwar civil aviation market, which was predicted to grow at a healthy rate over the following decades. Vickers’ chief designer and Managing Director George Edwards was quick to respond, the result being the Dart turboprop-powered Vickers V.630, which made its first flight in July 1948, despite its future looking uncertain after British European Airways having twenty examples of ordered its chief rival, Airspeed’s Ambassador, six months before. The Viscount nevertheless entered full service with BEA in 1953, much to the relief of its manufacturer, orders flooding in thereafter from numerous airlines — and air forces — all over the world. Ultimately, some 200 individual airlines, companies and organizations in more than eighty countries operated the dependable and, crucially, development-friendly Viscount over its long and distinguished career. This book tells the full story of the world’s first turboprop airliner, from its Brabazon Committee beginnings, through its early flight trials program and entry into service, to its almost unassailable position as the world’s number one medium-haul turboprop, including its astonishing breakthrough in the USA, where it single-handedly broke the big American manufacturers’ stranglehold on the airliner market. The type’s military career is also covered, as is its construction; also included in this volume are details of the numerous variants produced and those of the 444 built still surviving as exhibits today, along with twenty-four superb artworks by world-renowned aviation illustrator Juanita Franzi. 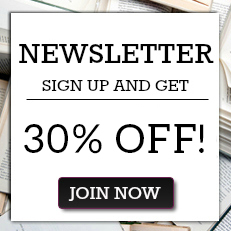 NICK STROUD has worked full-time in aviation publishing since 1994, when he began his career working on Aerospace Publishing’s highly-respected titles _World Air Power Journal_ and _Wings of Fame_. Between 2000 and 2010 Nick worked on another highly-regarded aviation publication, IPC’s award-winning _Aeroplane Monthly_, with which he rose to the position of Deputy Editor. In 2012 Nick and _Aeroplane_ Editor Michael Oakey launched _The Aviation Historian_, a fiercely independent quarterly journal, which continues to grow and has established a reputation as the UK's most authoritative independent publication on the subject. Nick is also a regular contributor to aviation publications around the world and a member of the Royal Aeronautical Society’s Historical Group Committee. 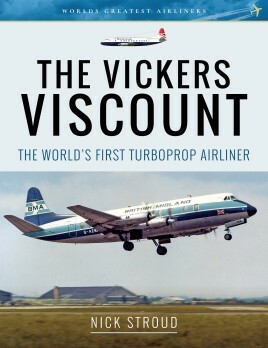 "The book goes into great detail of the development, service, variants and full history of a classic British Turboprop Airliner the Vickers Viscount ... The pictures [alone] are worth the cost of the book."